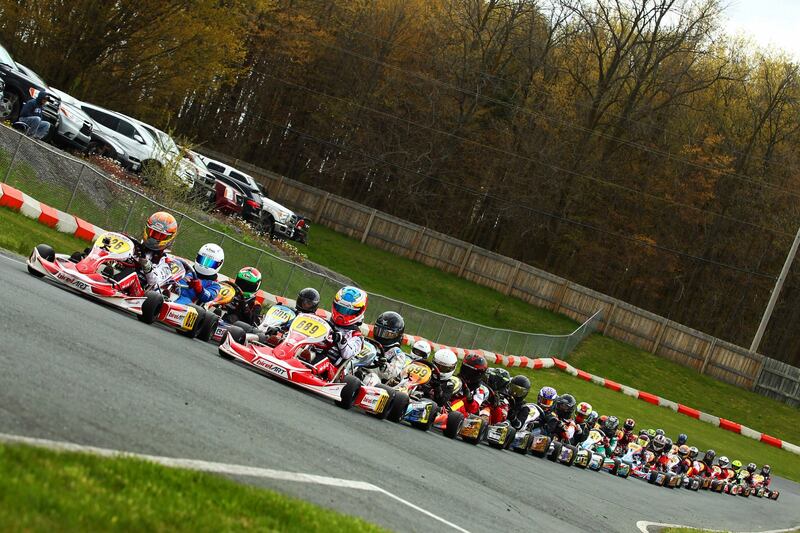 Home / NEWS & BLOG / What is WRONG with karting? If I had a dollar for every time I was asked that I’d probably be able to justify some of the bad purchase decisions I’ve made in my life. Nothing is really wrong with karting except that karting hasn’t changed when the world around us has. We live in a world where the largest generation by population has grown up in a throwaway verses repair world. Having a mechanical skillset isn’t a necessity and in today’s world we are dinosaurs. I hate saying it but it’s the truth. So how can we appeal to this audience when the ‘old school’ approach is to add complication and complexity through rule changes, approach, and setup so the sales of some are guaranteed by necessity? I was reading an article where 60% of the millennials surveyed were not confident enough to change a flat tire. Think about that. Yet in the dirt world we are asking potential racers to be chemists or pay someone else to be for you. This same survey showed that only 26% were confident in their ability to change their oil. Again, we are asking families in the clone world to change their springs out every weekend if they want to be competitive. Which builder, which ported head, or color of the rainbow engine is the best? Think about the sheer number of choices that have to be made just to hit the track. Karting is noooot easy. There are no instructions. A generation has been raised to search out YouTube tutorials and forums for information only to end up with opinions stated as facts mixed with pages of arguments and turmoil. GEE, WHERE CAN I SIGN UP?!! Recently an employee bought a kart to cure his midlife crisis. The very next day he stopped to ask me why Tillett offers 8 different seats and Douglas Wheels 4 different series of wheels and multiple offsets. Hell I didn’t even know there were that many choices, that is probably why I’m getting beat! (laughing). The sport actually used to be easier when your seat choices were black and white (actually clear but I wanted the pun). My example isn’t to point out companies have been supporting our sport for decades. It is to make a point that easy has become too complicated. As a leader in the sport our 206 crate engine looked to change with today’s world. Open a box, add oil, gas, and go. Let’s simplify the learning curve, reduce the complexity of options, the time required, and go back to having super competitive fun. The result of 9 years of stability, quality built by hand, and a single rule set are some of the largest fields in the country. That said, we have a long way to go but imagine if we simplified the base of the pyramid just like we have with the engine. Many might think that I am trying to make everything turnkey which would hurt vendors and families making a living in the sport. I’m not trying to do that except to make the entry into the sport easier. If we grow the sport, as a vendor or club you grow and as racer your costs stabilize or go down. We have to give families looking to get into karting every reason to say YES rather than NO. The leading entertainment trade magazine estimated that 35 MILLION Americans annually participate in indoor or rental park tracks. What other form of racing has THAT many impressions and that big of opportunity? The gatekeepers of this sport, including the leading vendors, the tire manufacturers, and series promoters should all be embarrassed. Instead of working together to create a simple, progressive ladder system that could grow our sport beyond its best days your effort is focused on ‘winning’ the throwaway engine importer, tire, or series of the year award. All the while our pool of racers continues to shrink. Instead opening up your eyes you add most classes, increase your cash pay-outs, or put your series on top of another hurting us all. The 206 sealed engine is our effort to help grow the sport as a WHOLE. It can feed into any ladder system and turn the wheels on any tire compound ran on any brand chassis. Imagine the health of our sport if we could just convert .2% of those 35 million racers. We would be tearing down apartment complexes to build more tracks.